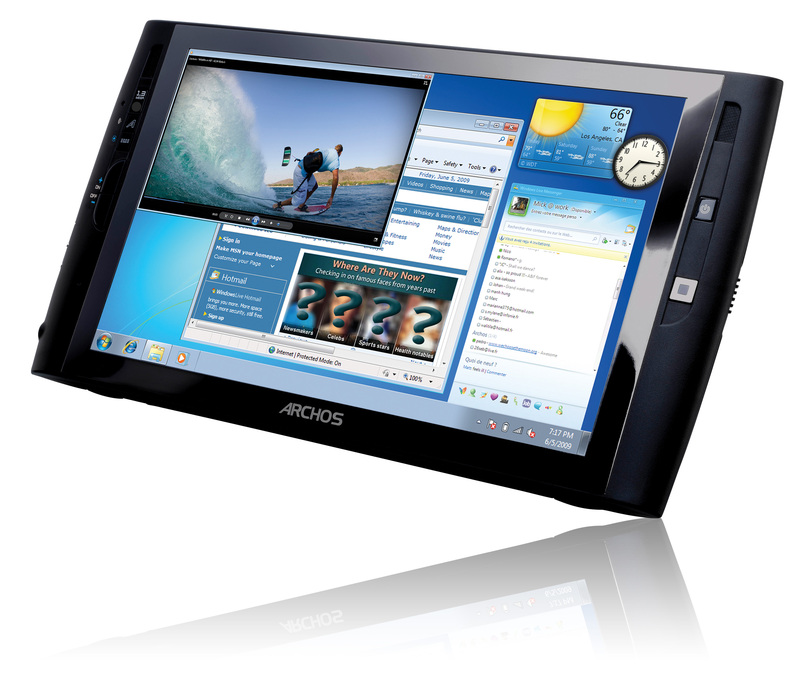 French company Archos has announced a new, updated version of their Archos 9 tablet, which now is powered by Intel Atom processor (1.2 GHz) processor and is priced at $499.99/£399.99. 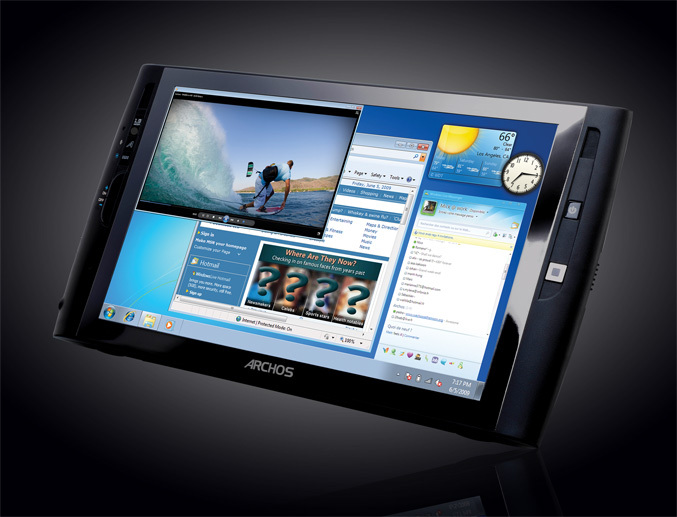 Archos 9 PC tablet packs a 8.9-inch LED backlight (1024×600 pixels), but still resistive touch screen and comes with Windows 7 Starter OS. 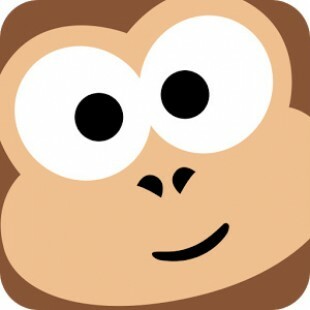 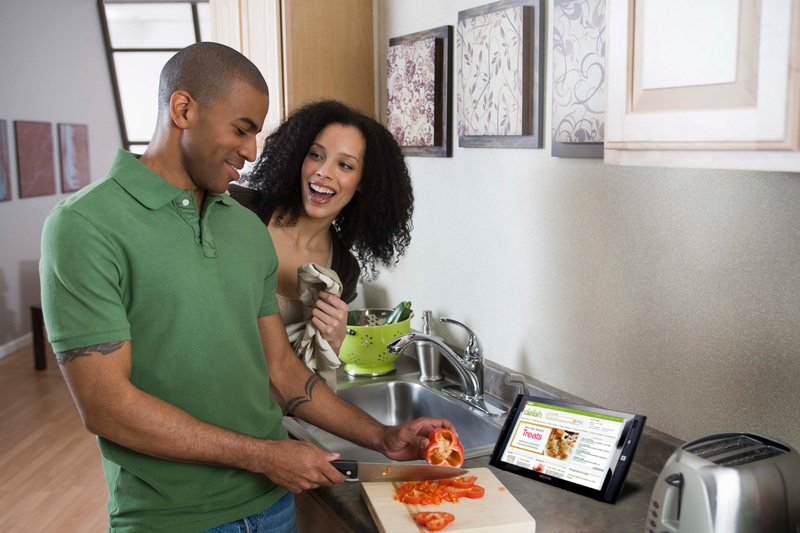 Weighing 800 grams, the tablet is backed by 1GB of RAM and a 32GB solid state disk drive, plus Ethernet port, Wi-Fi, Bluetooth, a USB port, and 1.3MP webcam. 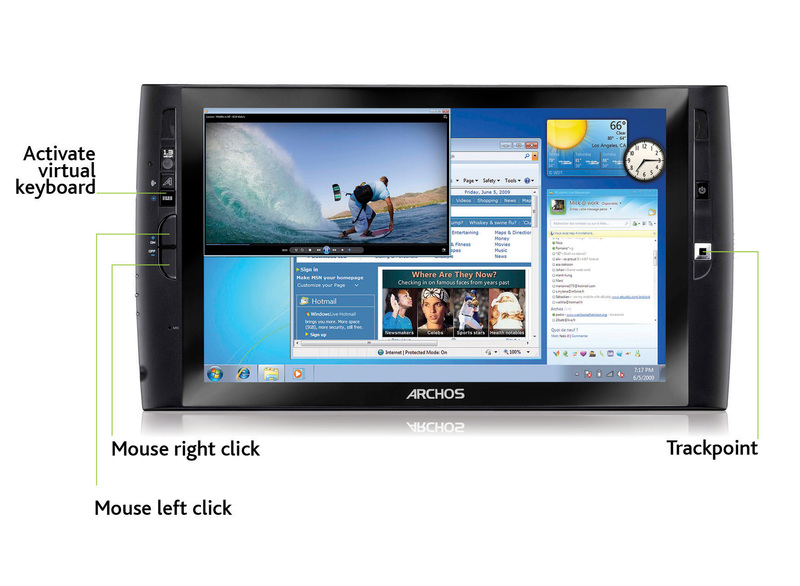 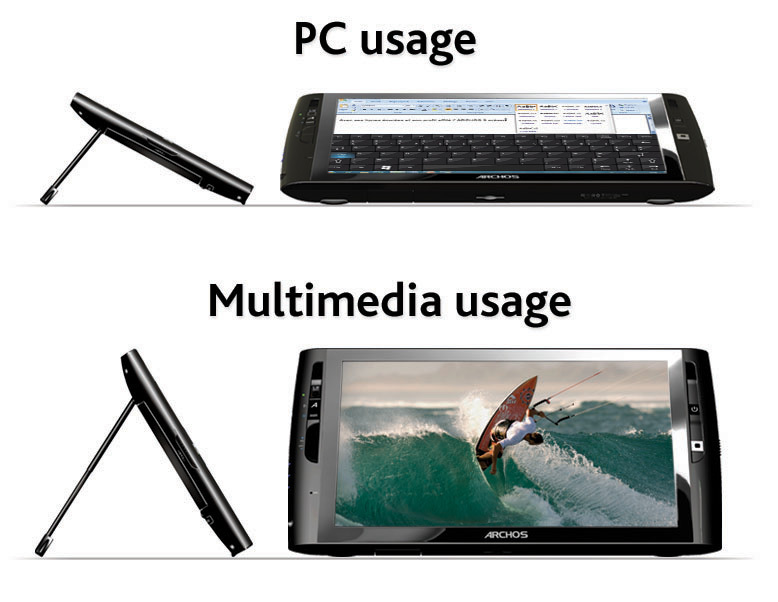 Archos 9 also has trackpoint optical pad with mouse left and right buttons, and also has an integrated kickstand that offers two positions, appropriate for typing and Web browsing and for multimedia playback. 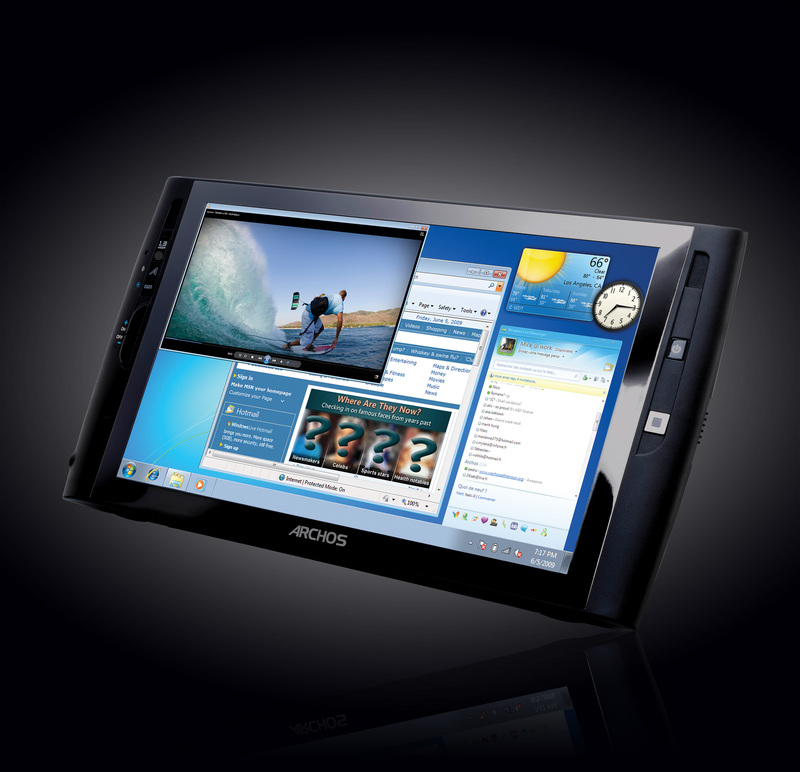 Archos says that the device supports HD 1080p playback and users will have access to Windows, Live Essentials, to install and download Microsoft programmes, as well Windows 7 includes desktop gadgets providing live news and weather information.